Blip.fm is internet radio made social. It's easy to search for, play, and discover free music recommended by real people. 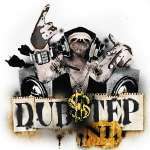 Join today to create your own free station and start listening to @dubstep. dubstep Or maybe this is anthem? Maybe both songs (Midnight Request Line and Anti War Dub) are anthems? dubstep Anthem? Do u think same?